Union Human Resource Development Minister Prakash Javadekar appealed to stakeholders to send their recommendations on the Act by July 7, 2018. Prakash Javadekar appealed to stakeholders to send their recommendations on the Act by July 7, 2018. The University Grants Commission (UGC), the main funding body for colleges and universities across the country, may be scrapped and replaced by a Higher Education Commission of India under a new law. The government on Wednesday sought public feedback on its proposed law to replace the decades-old UGC system. Union Human Resource Development Minister Prakash Javadekar appealed to stakeholders to send their recommendations by July 7. 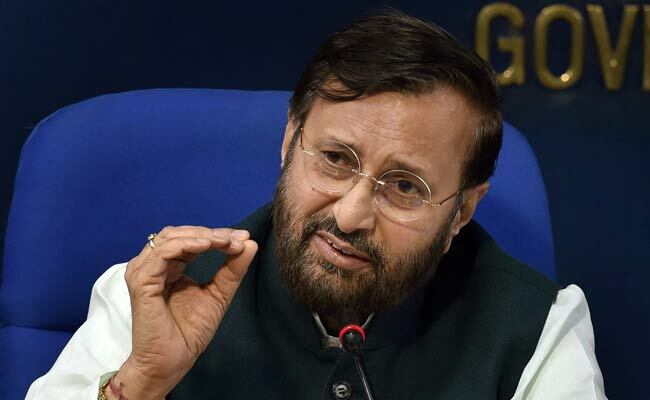 "My appeal to all educationists, stakeholders and others to furnish their comments and suggestions by July 7, 2018 till 5 p.m and mail at reformofugc@gmail.com," Mr Javadekar tweeted. The new law would try to give more autonomy to Higher Education institutes, the minister said. "The transformation of the regulatory set up is based upon the principles - Minimum government and Maximum governance, separation of grant functions, end of inspection raj, focus on academic quality, powers to enforce," he said. The new Act, termed "Higher Education Commission of India Act, 2018", will be applicable to all higher education institutions established under any Act of the Parliament excluding institutions of national importance notified so by the Central or state government.